The swarm of runners scattered along the stone pavement and broke the silence of the morning city. The younger brother flew ahead with a distraught look, and the older one raced after him. 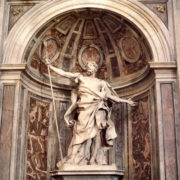 Already in the cathedral, catching him up, he raised over his younger brother’s head an instrument of violence … Lorenzo Bernini, one of the brilliant artists of Rome, favorite of popes and the audience, resembled the biblical Cain who is about to will bring down his anger on the head of the unfortunate Abel. 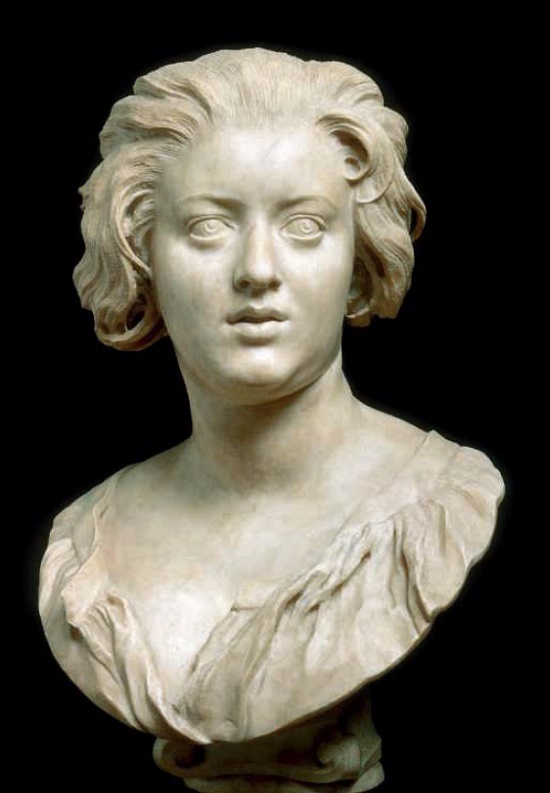 Meanwhile, it all happened because of the one whose marble bust Bernini sculpted – Costanza Buonarelli. A furtive glance, the strands of untidy hair thrown back and the nightgown slipping from her shoulders – such was the lover from under the chisel of Lorenzo. 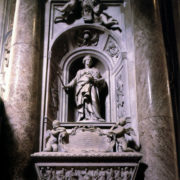 Traditionally, the bust portraits in marble could have only kings, popes and other wealthy persons, and certainly men. 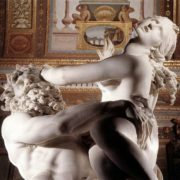 But not half-naked women… However, Bernini didn’t care any canons and rules. Since childhood, Giovanni Lorenzo, or just Lorenzo, considered himself a man who can do a lot. 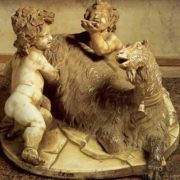 Still, it was not for nothing that Bernini was working as an obsessive man, without leaving the studio for days. “My beloved are my sculptures,” he repeated. … And now she was sitting in front of him, his beloved, made of flesh and blood. Not the first in the life of almost forty-year-old Lorenzo: he loved women, and they loved him. Courteous, secular man, he was also good-looking: slender, with a thin and swarthy face, thick hair with a light graying and living eyes. Even his sometimes arrogant behavior and quick temper did not harm the overall impression. – What would you like? 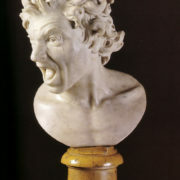 Laughed Bernini. “If I become calm, then how will I create? Without the heat of the heart, you can’t do art”. Well, he will convince anyone of anything. 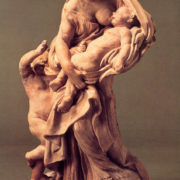 Indeed, Bernini was able to convince women, and the most desperate of them with joy gave him, bachelor, his nights. He, for the time being easily squandered caresses, suddenly for himself fell in love so much so that he could no longer think about anyone. Kostantsa was as impetuous and daring as he was. She capriciously lifted her upper lip and looked straight into Lorenzo’s eyes with her charcoal eyes. She looked, of course, sneakily, as she was married, and her husband was the pupil of Bernini, Matteo Buonarelli. 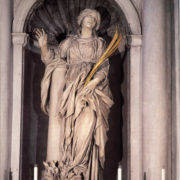 He was an ordinary apprentice, though a talented sculptor, and she was a woman from the notable Piccolomini family. 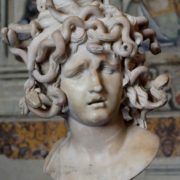 But Bernini was moving to the desired goal, without thinking about someone else, even if this someone was his brother on art. Usually she came to him through an inconspicuous door to strangers and felt in this rich house, where the paintings and sculptures decorated the rooms, just as easily and just as in her modest home. Sometimes Costanza was very serious and, falling on the bed Lorenzo, thoughtfully looking off into the distance, and sometimes she was angry or capricious, and then suddenly laughed and drove him mad with her unpredictability. Jealousy tormented Lorenzo, interfering with the work, in the end he decided to check whether they talk about Costanza nonsense, or rumor is not so wrong. Once, as if by the way, he told Luigi that he was leaving town for business for a few days, but of course he did not go anywhere. The first night Lorenzo and the servant hid near the house. The front door opened, and from the house went out onto the street… Luigi. The next moment, breaking bushes and almost falling, Lorenzo rushed to him. The chasing began. 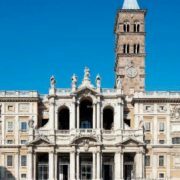 Along the streets of Rome two man ran – the elder with an iron rod in his hands and the younger, who just ran into St. Peter’s Cathedral. 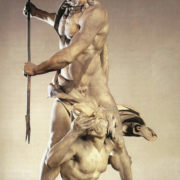 Here, at the entrance, Lorenzo began to strike his brother with a rod and, probably, would have killed to death, but fortunately, the mother, informed on the struggle of her sons, called the guardsmen, and they took away the fighting. Poor Costanza, found injured in a room, all her face, cut with a knife, was in blood. They found out that Signor Bouonarelli sent his servant to her. 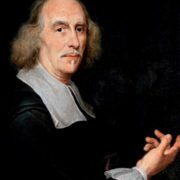 As a result, the servant – got arrested, and Gian Lorenzo Bernini also imprisoned: for adultery. And Luigi went into exile, to Bologna. – … Well? 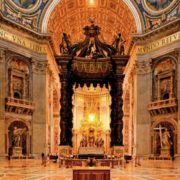 – Pope Urban VIII looked at Bernini. – For the fight, and even arranged in the temple, I sentence you to a fine. And to get married. 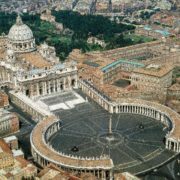 We’ll give you the most beautiful girl in Rome as your wife, – the pontiff smiled, – so that you would not look at others. The bride of Lorenzo was gorgeous indeed: Catherine, the daughter of the secretary of the Community of the Holy Annunciata, Paolo Tesio, was intelligent and beautiful. And he had enough for a comfortable life. The main thing is that the wife, judging by her character, would remain faithful to her husband for the rest of the days. 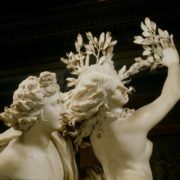 Meanwhile, the fame of Bernini reached other lands. When the French King Louis XIV invited Bernini to rebuild the Louvre, in Rome they became worried: the French want to get their master for them forever! But Innocent, in order to strengthen relations with the French court, agreed to a distant trip of his pet, who was already at seventy. 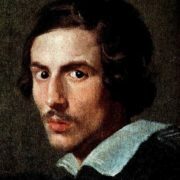 Meanwhile, Bernini got to Paris like that: in all the cities and villages through which he passed, he was greeted by the local nobility, and ordinary people standing on the roadsides joyfully waved their hands, greeting him. 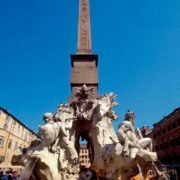 “My trip is an elephant’s journey,” Bernini joked. Elephants were then for Europe an outlandish animal, and crowds of curious people also flocked to them. Finally, after a long journey, the royal palace appeared. Arriving, Bernini noticed in one of the windows Louis XIV, looking down from behind the curtain. At the table, the guest was seated along with the ministers and princes of the blood, and leaving behind this place; the king often called him to him for talks, and posing for a portrait, sat quietly, like an obedient child. 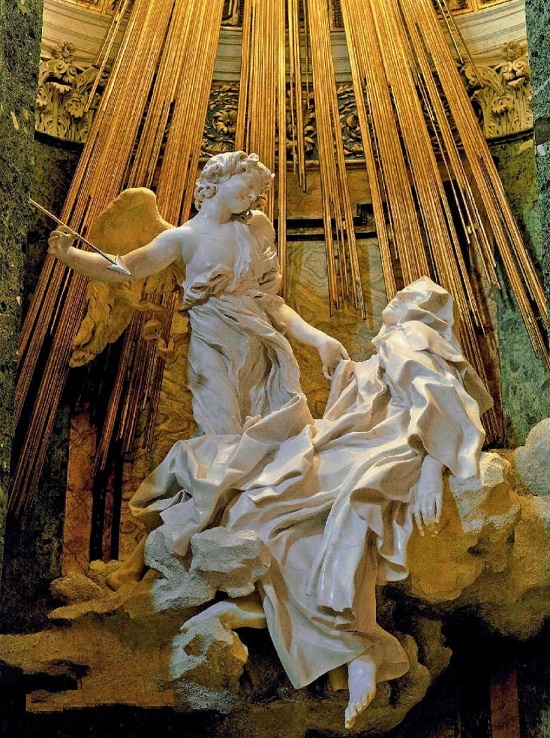 Another time, when Louis was sitting in front of him again, ready not to stir, Bernini went to the king and parted the strands of hair that covered his forehead. Years ago, one evening he looked at Costanza, crouched on the edge of his bed and dropped her night shoe. At that moment, Bernini took her lover by the shoulders, threw back a strand of hair from her forehead and, peering at her face, began to paint the shape of his beloved with charcoal on paper. And the next day, secretly from all of them, he began to carve out her sculpture from these marbles. When he had finished, he put it in one of the rooms, where no strangers came. 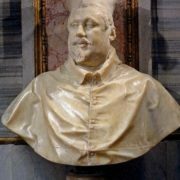 From France to Rome, Bernini returned as a man who did another great thing in his life. 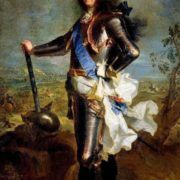 Louis XIV paid the work of the sculptor in a royal way, even appointed him a life pension. 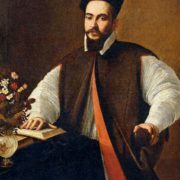 Which was not at all superfluous for the great family of the architect Lorenzo: after all, eleven children, and grandchildren … It was almost the whole city that poured out to meet the master. 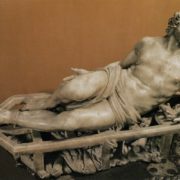 And Bernini rode in a carriage and, remembering his life, he thought about how hard work he had come to the hour of his triumph.